At the age of 9, most of us were running around with our friends without a care in the world. We played sports, traveled with our families and spent a lot of time with our friends. How many of you were fundraising for charity? We interviewed soccer star, Hollis Belger, to learn about how she turned her hidden talent into a unique fundraising campaign that's raised thousands of dollars for pediatric cancer research at St. Jude Children's Research Hospital. To start, can you tell our readers a little bit about yourself? I am 11 years old and live in Northern California with my parents, my older sister, and my dog, Pete. I love performing, hanging out with my friends, and of course, playing soccer. What motivated you to start Juggling for Jude? When I was eight years old, my soccer coach encouraged me and my teammates to start juggling. It was clear from the beginning that I had a pretty good knack for juggling. My mom once posted a video of me getting something like 60 in a row (feet only) on Facebook, and people thought it was really cool. That response gave my mom the idea of having me juggle for a good cause. She suggested it to me, and I thought it was a great idea--to find a way to give back by getting really good at juggling. My mom told me about St Jude Children's Research Hospital, and we both knew right away that was the cause we wanted to choose! When I was nine, we came up with the name "Juggling for Jude," and it took off from there. How much money have you raised for St. Jude Children’s Hospital, and why did you choose St. Jude’s? I have raised more than $68,000 for St. Jude so far, after my first two summers of Juggling for Jude. We chose St. Jude because my mom has always known about it and always wanted to do something to help the kids there. When she told me about it, I thought it was a perfect place. It's such an amazing hospital for kids with cancer and other catastrophic illnesses. They treat everyone for free and try to do as much as they can for the kids and the families. They really focus on hope at St. Jude, even though the kids have cancer. All of the money it takes to run the hospital and do the research comes from donations, so it's really important that people support it. What is your favorite and most challenging thing about the fundraiser? My favorite thing about Juggling for Jude is feeling good about what I'm doing. It's great to realize what a great thing it is turning into and how far I can take it to help kids who are just like me but they have cancer. The most challenging thing is going out every day to juggle (during the summer) and feeling the pressure of getting a good number to post on my blog. Sometimes, when it's really hot or I'm busy and tired, it's hard to push through that pressure, but it's always worth it in the end. What is your goal for Juggling for Jude in 2016? One of my goals for 2016 is that people around the country will take the "Juggling for Jude Challenge," which means they will go out and try to juggle their soccer ball. Whatever their highest consecutive total is becomes the amount they donate through Juggling for Jude. They could do a dollar per juggle or ten cents per juggle, or whatever! Another goal I have is to get a company to sponsor Juggling for Jude, so we can give out Juggling for Jude t-shirts to people who donate a certain amount and so we can spread the word to more people. I would also love for a member of the USWNT or the USMNT to come on board and help me spread the word. I want to get as many people as possible to know about Juggling for Jude and to help me raise more money for the kids at St. Jude. I would like to get way past the $100,000 mark for St. Jude after next summer, and really I hope to get even more than that if we get more people to know about it and to take the Juggling for Jude Challenge. If everyone chips in a little, it becomes a lot! Another goal I have for 2016 is to be a guest on The Ellen Show. Ellen is so funny, and she seems to really like to have kids on her show. I think it would be super fun to be on the show, and I know Ellen is a big supporter of St. Jude, so it could help me raise even more money for St. Jude. I think I would be a really great guest, because I would juggle and I think I could be funny with Ellen. I'm super comfortable on camera, so I wouldn't get shy or anything! If anyone out there knows Ellen, please put in a good word for me! I'd love to tell the world about Juggling for Jude by getting on her show! 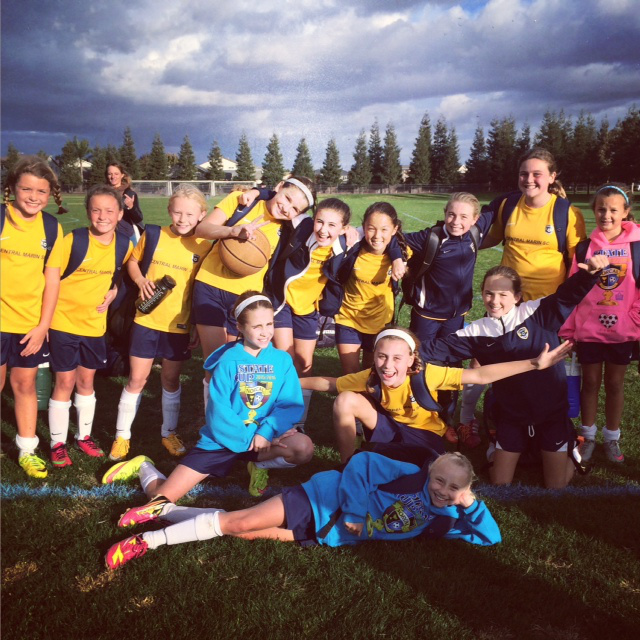 During soccer season, I have practice with my team twice a week and games on the weekends. We usually juggle for a few minutes as a warm-up before practices and games. When I'm doing Juggling for Jude in the summer, I usually juggle every day. I don't really practice juggling outside of that, because I get in so much practice by juggling to raise money! Once you start juggling, what do you think about to stay focused? I usually just focus on the ball hitting my feet.I have learned how to relax into the rhythm of the juggling and not worry so much about counting. When I've juggled really high numbers, it has taken a long time (over 11 minutes! ), and it's very tiring, so I have to find a way to focus my mind so I don't let my body feel how tired it is! Are there any secrets or tips to juggling a soccer ball? You have to believe in yourself! Start small and don't worry too much about big numbers when you first start. Always use both feet from the beginning. It's hard to train your bad foot if you don't start using it right away. Also, you shouldn't use your thighs because it's too easy, and then it's a hard habit to break. What advice would you give to someone who wants to start a fundraiser? I would say that you should choose something you're really committed to. You have to be excited about the cause and really know about it, so you can stay interested when the work gets hard. You also need to believe in yourself and try to have fun with it! What other activities do you love? I love to perform! I love to dance (especially Hip Hop), and I love to act and sing. I love being on stage and performing for an audience, especially dancing and musical theater. I also love to write fictional stories about girls my age. Actually, I like to write in general! Being a leader isn't telling people what to do. Being a leader means showing people how to lead, themselves, and inspiring people to do great things. It means being open to the ideas of other people in order to benefit everybody. Which three professional soccer athletes would you want to invite to your next fundraiser? Wow. This is a tough question, because there are so many. I would have to say Kelley O'Hara for one, because she was so generous last summer by making a video about Juggling for Jude and donating after she juggled with her teammates. Plus, she's an amazing player who seems really nice! 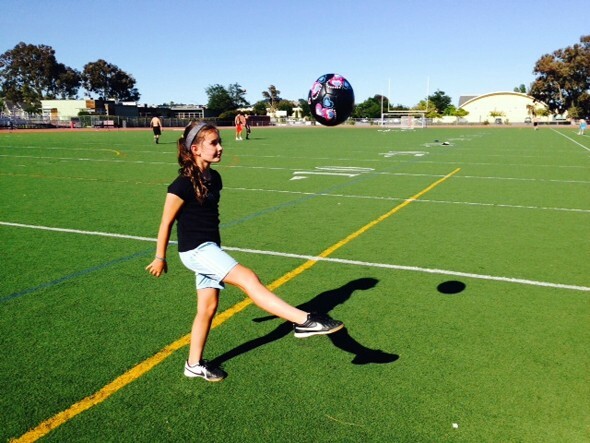 I would also invite Alex Morgan, because she's a really awesome soccer player and a great inspiration who would help get a lot of attention for Juggling for Jude. The third player I would invite is Megan Rapinoe because I also think she is a great inspiration, and she is showing girls that it's ok to be different and be yourself. There are a lot of other players I would love to invite, but those are the three I'm thinking of right now. I've already had some really amazing players juggle with me already, and they would be welcome to come any time! These are all of the San Jose Earthquake players and Julie Foudy! And also Yael Averbuch who has helped me on social media and is an amazing juggler! Who is your favorite soccer athlete, and why? I don't think I can choose just one favorite. I like all of the ones I mentioned above plus Abby Wambach and the rest of the USWNT and the USMNT and Tristan Bowen, who plays in Europe and has coached me a few times. I also like David Beckham, because he was just so amazing and because he has four kids and supports children's charities. Of course I also love all of my awesome teammates!